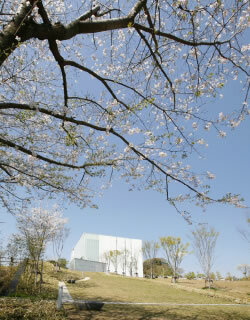 Our Global Headquarters was designed in harmony with Nature. Its simple form and positioning were created to blend with the spirited Tenryu River below and the surrounding rolling mountains. We feel this is the perfect symbol of our policy toward preserving the environment. ROKI Co., Ltd. issued its environmental declaration in 1998. We have established a basic environmental policy and are actively pursuing environmental conservation activities. As a filter specialist, our work in developing eco-friendly automotive parts has been accompanied by a commitment to environmental initiatives that has included countermeasures for pollution control, tighter management of chemical substances, energy conservation, zero emissions, and the conversion to lead- and chrome-free products. We acquired ISO14001 Environmental Management System Certification in March, 2004, and are committed to making further improvements that will involve additional energy savings in plants and sales offices, resource saving measures, reductions in waste and additional pollution controls. As an example of our efforts, as a corporation, to preserve the environment, we are pursuing an initiative to establish a uniform recycling system. The old uniforms we collect are shredded and can be used as acoustic or heat insulation materials by automobile parts makers or construction companies. We consistently aspire for harmony between people and the environment and we will contribute to the creation of an affluent and untroubled society. 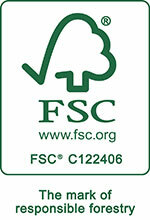 On September 3rd, 2014, we received a forestry certification (COC cerification) from the world-renowned Forest Stewardship Council. The purpose of the FSC® certification is to globally promote forestry management that appropriately protects the environment and is socially benefitial as wellas being economically sustainable.This is the first time for a Japanese filter manufacturer to receive such certification. With this,we have been able to further bolster our environmental protection activities and gained the ability to meet the needs of customers requiring FSC certification in their products. Our Hamamatsu Plant is the production location for a wide variety of products; from automotive filters to air and water purifiers and from Fuel Cell Systems to Cogeneration Filter Systems. This Mother Plant plays a central role in the manufacturing of Roki, which is expanding globally. In June 2008, ROKI's quality management system was certified by the international standard ISO / TS 16949 at Hamamatsu Plant , Head Office / ROKI Grobal Inovation Center (ROGIC) and Kumamoto Factory. Also in May 2018, the Hamamatsu Plant , Head Office and ROKI Grobal Inovation Center (ROGIC) have shifted to IATF 16949. In addition, in order to offer the timely mass-production and the production method in global-level standard to overseas bases, we are proactively having the training staffs form the overseas factories. With filtration as our core technology,in order to become a company that greatly contributes to the world,※ we at ROKI are not only expanding overseas but also are strengthening our domestic locations. 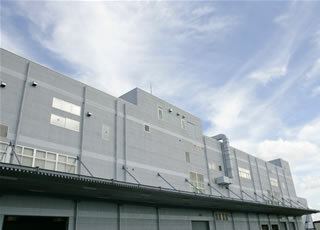 In 2004, the Hamamatsu Factory was completed as the leading manufacturing site for the entire global ROKI group. Next, in 2006, under the concept of "realizing innovations," our Global Headquarters was completed to unify and manage the worldwide group including oversea subsidiaries. This building won the Nikkei New Office Award (Minister of Economic, Trade and Industry Prize) as the No.1 office in Japan of the year※. Furthermore, in 2013, in order to explore next-gen innovative technologies , our research and development center ROKI Global Innovation Center (ROGIC) was completed utilizing the latest technologies. The facility was deemed as "Leading the Industry in Sustainable Buildings" ※ by the Ministry of Land, Infrastructure, Transport and Tourism, and was given the Livelihood/Environment Section Sustainable Building Promotion Award by the Shizuoka Prefecture.